Last week, we taught you how to host the perfect northern fish-fry. Now, courtesy of Feast ON Chef James Eddington, we’re gonna show you how to take things up a notch! Eddington’s occupies the original Carling homestead, built in 1970, in the town of Exeter. Now well over a decade in business, Eddington’s attributes the restaurant’s success to creating flavourful and creative meals consistently using the best of Huron County’s bounty. 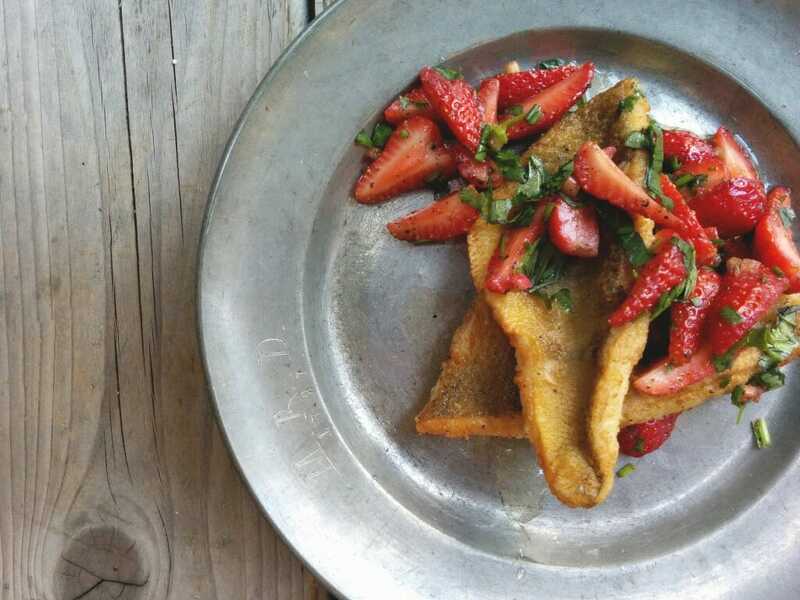 Whether it’s pork from The Whole Pig, garlic from The Garlic Box or beautiful perch from Purdy’s Fisheries — you’ll find the best in local flavours coming out of Eddington’s kitchen. Chef says: The joy of such a fresh seasonal recipe is you can change your ingredients throughout many seasons! Can’t find strawberries? Try blueberry! Late harvest peach is lovely too. Not into fruit? Sub in Asparagus. Have fun and be creative! Want a perfectly paired wine? Try the light, refreshing Estate Pinot Gris from The Grange of Prince Edward. It's dry, crisp and full of citrus and stone fruit aromas - perfect for white fish or seafood.